I wrote the poem above 40 years ago, at the age of 29, living in Manhattan, immersed in my international career as a dancer, choreographer, and movement teacher. “Turning,” then, meant something very specific, very visceral for me—the actual rotation of my body around its own central axis—though I clearly already had a sense of turning as something more, a kind of transformative act, a prayer. 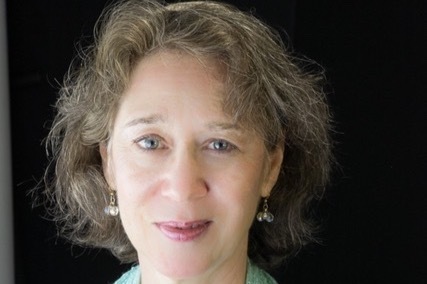 It would be many years before I would come to understand “turning” as the core Jewish practice of teshuvah, that essential process of renewal and return that, as Jewish tradition teaches, makes the very existence of this world possible. I’ve spent these past 20 years delving deeply into the rich legacies of Jewish wisdom, steeping in the texts and practices that many of my family members set aside when they made the arduous journey from various parts of Central Europe to America’s shores. 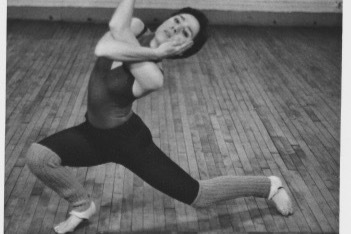 I’ve felt compelled to live in the intersection of my very embodied dancer’s experience and the wisdom of both ancient sages and more contemporary teachers—to immerse myself as fully as I could in Yam Ha-Torah, the sea of Jewish learning, so that I could serve those of all generations seeking connection with the often-hidden riches of the Jewish path. Your support over these years has buoyed and supported me in more ways than I can name, inspiring me to create and share new liturgy, poetry, movement practices and music, and to develop new teaching and leadership styles—new ways of rabbi-ing. In short, you’ve made it possible for me to contribute to the exciting and joyful healing and renewal of Jewish life in the second half of the 20th and now the 21st century. As I approach my 70th birthday next April, I’m asking for your support again, to help me embark on an extended period of creative renewal—time to begin to organize my many writings and original music; time for personal reflection—to wander and dream; space to imagine my way into my next decade of learning and practice. I’ve set a personal fundraising goal of $10,000 to support my 70th birthday sabbatical, my real first sabbatical in 20 years! Your generosity will help me dedicate a two-month period to breathing deeply, walking in the hills, meditating on the sky, preparing my two poetry manuscripts, beginning to record some original musical liturgy, and…..
Toward that end, here are some suggested levels of contribution, but please know that your support at any level is most appreciated. Any supporter willing to invest $70 or more will be acknowledged in writing in the next collection to roll off the presses. Stay tuned for more information – because you are partners in this sacred, creative process. And if you are able to contribute $500 or more (wow! ), we’ll arrange something truly unique–a personally inscribed poem, a teaching session via zoom or phone, a copy of a liturgical song or niggun as it comes to life. So many thanks in advance for your support. In this season of liberation, as Passover approaches, I write to thank you for your generous support of my 70th birthday sabbatical this winter. With your donations on-line and off, I was able to reach my fundraising goal and to take two months away from my usual occupations, to experience a regenerative time of deep contemplation, prayer, and creative renewal. During February and March, I spent a total of four weeks in silence at three different nearby retreat centers--Spirit Rock, Land of Medicine Buddha, and the Vedanta Center Women's Retreat House. 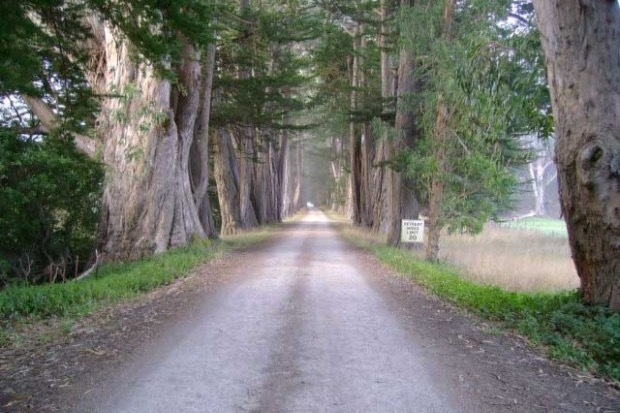 During that time, I meditated, prayed, and walked in the woods. I was able to assemble two volumes of poetry and am putting the finishing touches on L'Shem Yikhud, my manuscript on Jewish wedding and marriage. This kind of extended Sabbath time is so rare in our revved-up, information-saturated culture. And yet without taking sabbatical time to process and empty ourselves of all we absorb on a daily basis, I find that the energy for the work of healing, truth, and justice, to which so many of us are called, dries up. I am deeply grateful for the gift of time and space you have afforded me. As my actual birthday approaches (April 25th! ), I return to my teaching and healing projects with renewed vigor and fresh insight. I'll let you know when the writing becomes available! And I fervently pray that all of us have the support we need to offer our best energies and efforts to the work of justice, truth, and global healing to which we are so urgently called at this time. 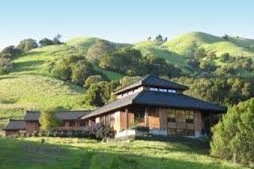 I'm excited to begin my sabbatical time tomorrow with a five-day meditation, yoga and qi gong retreat at Spirit Rock in the rolling hills of Marin County. Your generous contributions have made this possible; with your help, I'm within sight of my goal! I'm especially grateful to those of you who've shared this campaign with your social networks. If you'd be willing to reach out again, you could help put me over the top. In the meantime, I'm so grateful to be able to begin this time of regeneration, with faith and trust that I can let go into the spaciousness and quiet for these next week. We've transitioned into a new solar year! The energies of 2019 have arrived to fuel our inner fires and to bring the hope of renewed passion and compassion in the public sphere. I'm overjoyed to report that, in just two weeks, my "Turning Toward the Future" campaign has made substantial progress toward its goal! Thank you so much for your generous contributions and for all your words of support, which have buoyed and nourished me through this dark season! 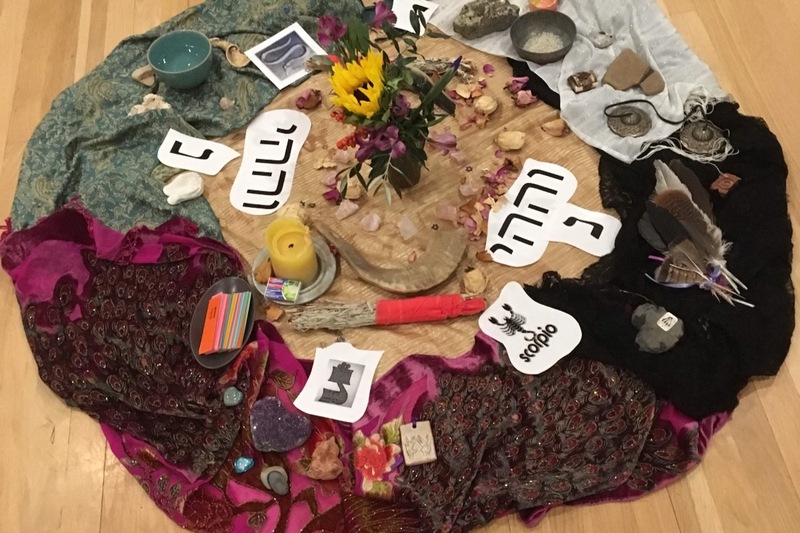 This photo of the "altar" created by the Embodying Spirit alumni retreat attendees in November highlights the layering of universal Jewish symbology with personal history that has sparked seven years of learning in my signature Jewish embodiment program . I plan to use part of my sabbatical time to begin gathering the curricula and the many embodied exercises that emerged from seven years of Embodying Spirit retreating, so they can be disseminated. Please continue to spread the word of this campaign–every little bit helps!